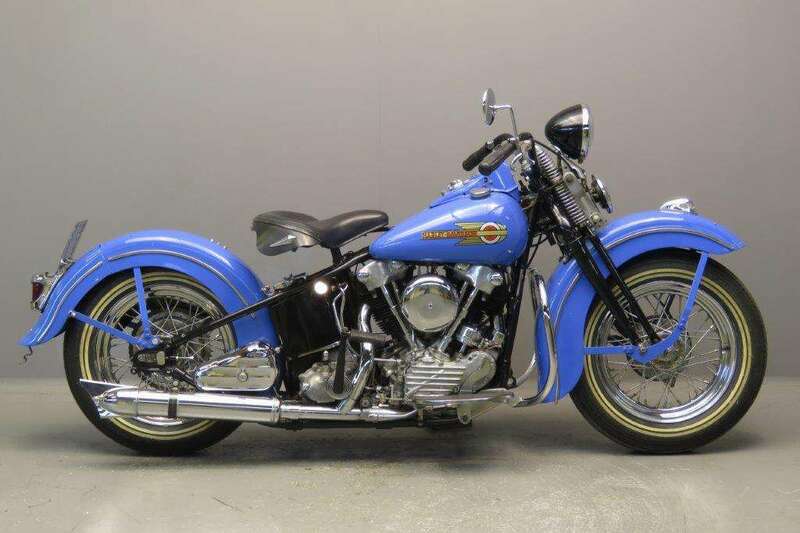 Harley Davidson made a major departure from their conservative, but very sound motorcycle designs when they introduced the overhead valve 'knucklehead' in 1936.
earns the nickname of "Knucklehead," due to the shape of its rocker boxes. 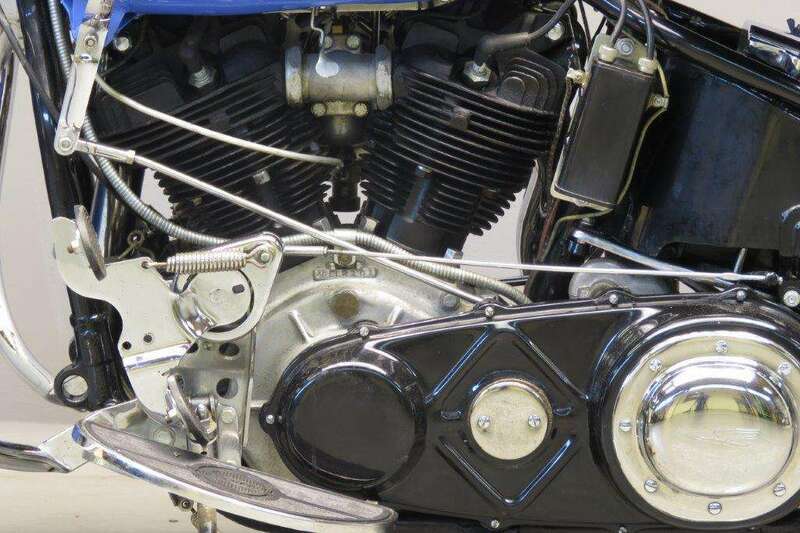 The side-valve V series big flat-head twins that were the company's main offering were very robust in design, but were modest in performance and still featured total loss lubrication. 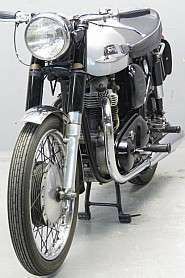 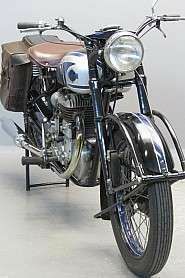 The knucklehead offered full circulating dry sump lubrication, and an overhead valve hemispherical cylinder head design with high compression options. 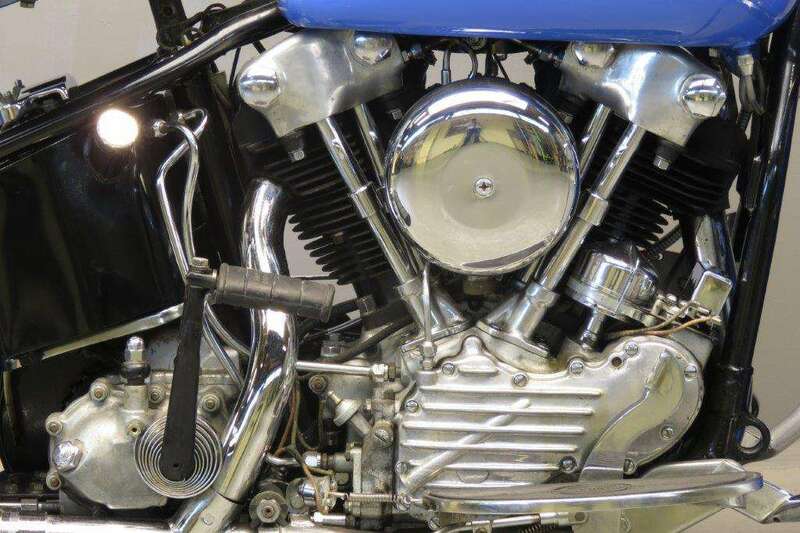 The knucklehead lead to the eventual downfall of Indian, who never shed their loyalty to the old-fashioned, charming, but less efficient side-valve design on their big Chief. 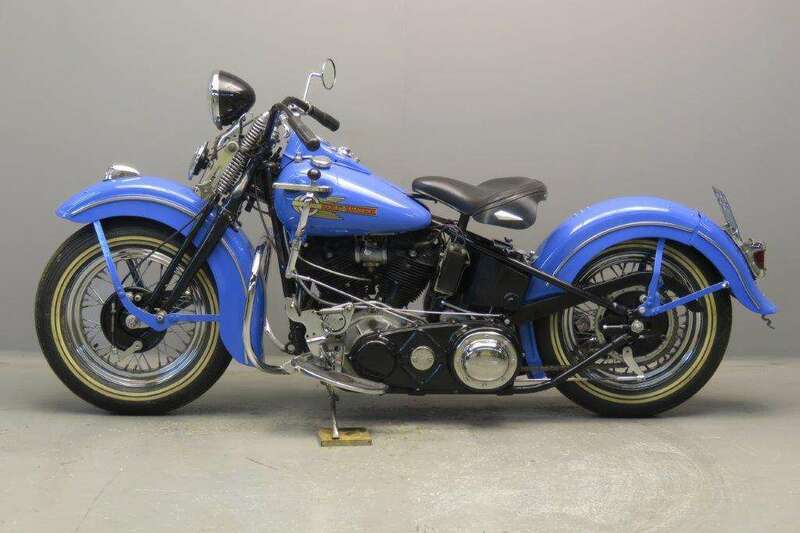 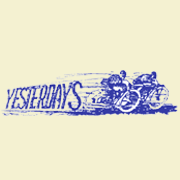 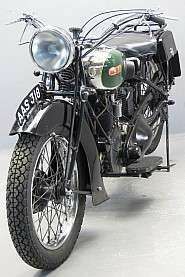 By 1946, the overhead valve Harley was a dependable and well-developed machine. 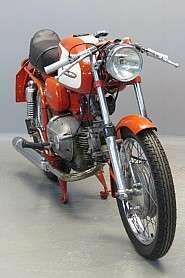 This example is the model EL, which is 61ci or 1000cc. 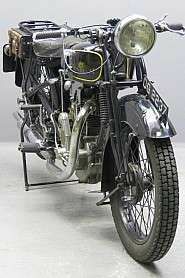 The EL also features springer front suspension. 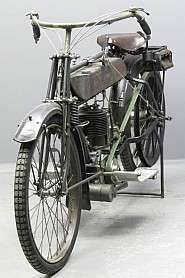 The rear wheel had no suspension, giving this type of motorcycle the nickname "hard tail". 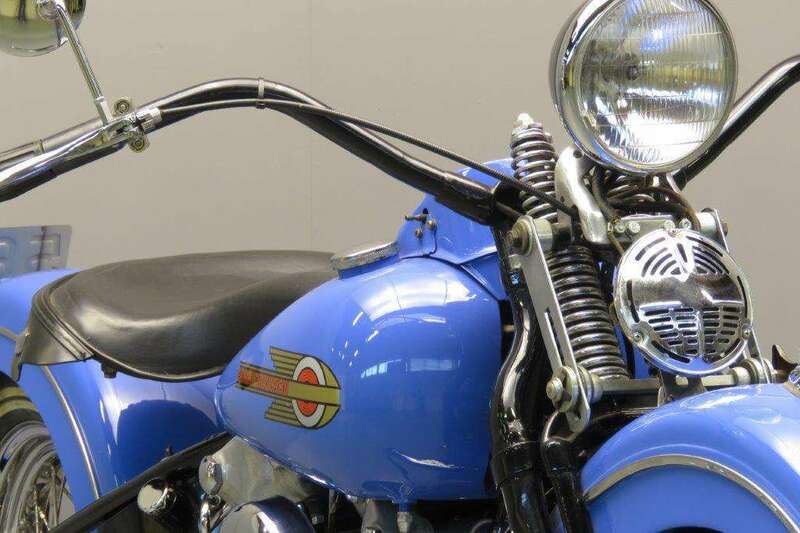 Big and brawny, loud and proud, Harley-Davidson is America on two wheels. 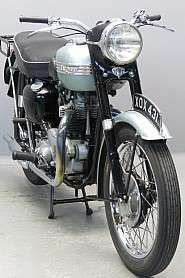 This 46EL 61 cubic inch, 1000cc is a good running, reliable and very well presented motorcycle.